Tensions between the world's two largest economies over trade issues have dominated the agenda in recent weeks. Trade in goods and services is important. China is the top market for US goods exports in 2017. It bought more $127 bln of US exports last year, a 12% increase after small declines. Overall, US goods exports to the world rose a little more than 8%. Over the past decade, US exports of goods to China have risen by 86% and 21% to the rest of the world. China is the third largest destination for US service exports, behind Canada and the UK. The most recent year of complete data we found was for 2016. US service exports to China reached $50 bln for the first time. In the decade through 2016, US service exports to the world rose 50%, while service exports to China rose by 300%. US exports to China reportedly support a million US jobs. China's return to the world stage has come in two phases. The first was from the political and economic reforms of the late-1970s through 2001. In 2001, China joined the World Trade Organization, which ushered in the second phase. We have been warned by no less than Napoleon that when China awakes, the whole world will shake. China's emergence on the world stage has been disruptive, displacing labor-intensive production elsewhere, injecting itself into supply chains, and accelerating the transformation of more goods into commodities. Roughly half of the goods that China exports to the US are American brands. Given the stark divergence of income and wealth in the US, the access to cheap consumer goods helps many households make ends meet on top of wage income and credit. At the same time, China is understood to have tortured the international trade rules to the point of breaking. Investors may not perceive the extent of this broad antagonism toward China. Part of the problem stems from the uneven development. In Asia, the pattern under various political and ideological configurations typically emphasized the market for goods over capital. 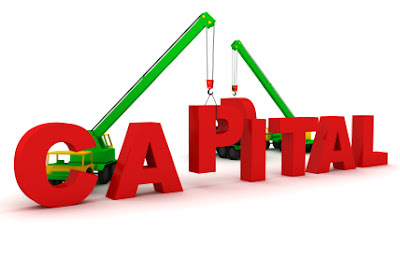 The US, and to a lesser extent Europe and Japan, have taken the surplus capital that is not needed for the production of goods and services and created a financial superstructure to absorb it. In Asia, including and especially China the excess savings is expressed in the form of redundant investment and surplus capacity. This, in turn, enflames trade tensions, and it would even if China adopted the best trade practices. A new phase of the world's engagement with China is about to start. It is about capital, not trade. June 2018 may do for capital what the joining the WTO did for China's manufacturing sector. There are two watersheds next month. The first is the implementation of last year's MSCI decision to include China mainland shares into its Emerging Markets Index. Shares of Chinese companies that trade offshore (Hong Kong) and in American Depository Receipts, for example, are already included. China's companies already account for about 30% of the benchmark. This is the first time that the A-shares will be part of the MSCI Emerging Markets Index. The A-shares begin off with a very small weighting of 0.7%-0.8%, and this is thought to spur $40-$50 bln of capital inflows from passive trackers. The A-share weighting is expected to increase over time. Several outstanding issues that suggest this process will be gradual. There are three challenges. First, the rules governing stock suspension (in 2015 China allowed nearly half of its firms to suspend share trading) need to be lifted to international standards. Second, the robustness of the channels giving access (China recently quadrupled the limits on Hong Kong links with the mainland after record volume was recorded last month) remains a question. Chinese companies typically do poorly on ESG (environment, social and corporate governance) issues. Chinese companies that MSCI is including are more represented in the lower ESG ratings than other companies (37% to 8%) and have few higher ESG rated companies than the index (3% vs 22%). MSCI has indicated that it is constructed ESG indices for Chinese companies. The second step that will usher in a new phase is the opening up of China's financial service sector. This includes banks, security firms, life insurers and asset managment. Foreign firms will increase their market share and gain more control from their domestic joint venture partners. In the mutual fund space, the cap on foreign ownership, for example, will be lifted to 51% next month and the cap is expected to be abolished entirely in three years. China's financial sector is estimated to be around $45-$50 trillion. Given the size of the market, a small market share is huge in dollar terms. China has been gradually loosening its capital controls. In addition to the increased size of the Hong Kong-mainland equity links, a year ago China launched a bond-connect scheme. China's data suggests foreign investors bought a record CNY66.4 bln (~$10.3 bln) of onshore bonds last month, triple the previous record (data goes back to 2014). China's Central Depository and Clearing Company estimated that foreign investors hold a record of CNY1.15 trillion mainland bonds. IMF data suggests that foreign central banks held almost $123 bln of Chinese bonds in reserves at the end last year. The US set the trade agenda, and tensions have de-escalated in the past week as China offers to buy more US goods and is reducing some trade barriers, like the tariff on auto imports. The US has long pressed China to open its capital markets and financial services. The gap between China's declaratory and operation policies have been a perennial source of tension. However, the constellation of forces and interests suggest that a new phase in the integration of China into the world financial system is about to begin.